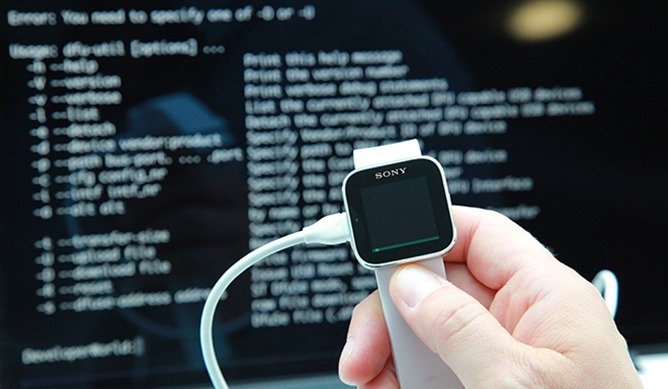 They're calling it the Open SmartWatch Project, a portal for developers to bone up on the basics and download all the tools they need to create pint-sized, flashable builds of the SmartWatch software, or indeed, something entirely new. Sony isn't actually providing alternative firmware (like the do with AOSP for various phones and tablets), merely showing developers the steps in creating their own. Previously Sony had allowed developers to create apps for the SmartWatch via an SDK, but the system itself has stayed relatively locked until now. Flashing new firmware will be achieved with the Device Firmware Upgrade format, using the USB cord included in the retail SmartWatch packaging. As a show of good faith, Sony has teamed up with Arduino, makers of the open-source microcontroller hardware of the same name, to allow Arduino firmware to run on the watch. 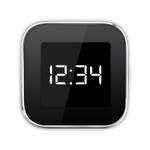 Users will still be limited by the hardware of the SmartWatch (Bluetooth and a 128x128 color touchscreen) but that should enable quite a lot of existing projects to be easily ported over. They'll be demonstrating the collaboration at the SmartWatch Arduino Hackathon on June 15th (Saturday) in Malmo, Sweden. Of course, the minute you try to do any of this, your warranty is void, nullified, lost, and gone forever - Sony wants to make sure that only developers who know and acknowledge the risk to their fancy watches participate in the program. Consider yourself warned, would-be watch hackers. Now get cracking.